So, your child is officially becoming an adult and is ready to start the rest of their lives. But, first comes the party! Do you know which of the many 18th birthday party themes you want to use to kick this milestone off right? As a parent, you will be looked at as the guiding light when it comes to planning the perfect shindig (at least the bankroll). You’re probably asking yourself where to start. 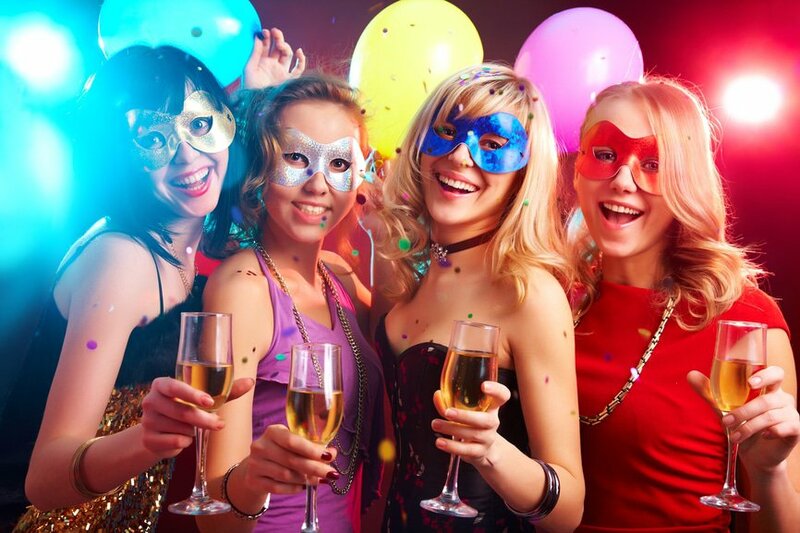 The good news is there are many different creative 18th birthday party themes available that combine fun, games, and memories you and your teen will remember forever. We have compiled a list of awesome co-ed themes that will have your kids singing your praises come the big day. When designing the perfect shindig, you have many creative 18th birthday party themes from which to choose. But regardless of which theme you go with, there are some general considerations that parents and new 18 year-olds should think about. You want everyone to have a good time, but you also want to be smart about planning and enjoying the festivities. When planning these 18th birthday party themes, you want to take some time to craft a well-planned guest list. Parents should work together with the teens on this task. Invite your friends but make sure the list doesn’t grow out of control. Though you want them to have fun, you must maintain a sense of order. If you are holding the party at a venue, then you want to be sure that the location allows the number of guests you plan on bringing. To properly spread the message about the event, use a social media platform like Facebook to ensure all guests get the necessary info. As parents, you want to make sure that everyone at the party remains safe, while allowing the teens to enjoy themselves. Still, you don’t want to get so relaxed that things get out of control. During the party, be there in the background to ensure that everything goes off without a hitch and that nothing gets out of hand. Just don’t be so involved that you end up hampering your teen's time with their friends. The momentous occasion of turning 18 is a big milestone in anyone’s life. So make sure that the cameras are rolling. A key to enjoying any of these 18th birthday party themes is creating memories that you and your kids can revisit for years to come. There are many ways you can go about documenting. As parents, you can go around the party and take pictures or video of the fun moments. 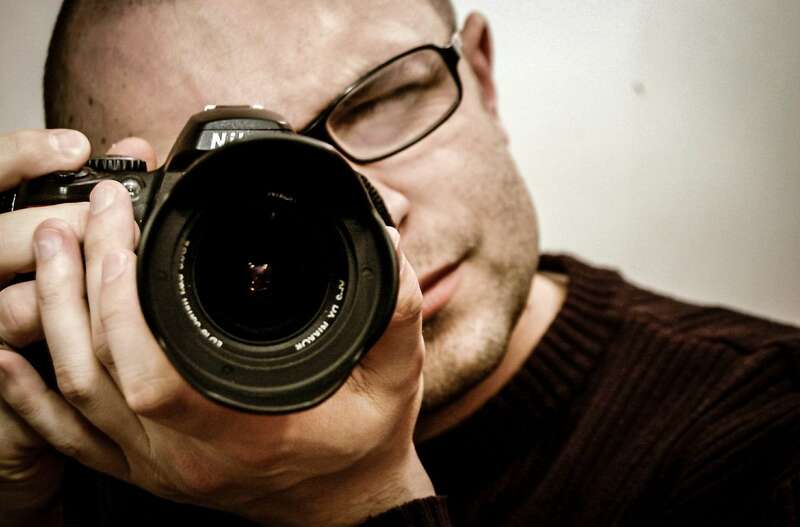 You also have the option of hiring a professional photographer. Another fun idea is to buy a bunch of inexpensive disposable cameras and hand them out to the guests. Have them take their own pictures and then collect the cameras at the end of the event. Select the best shots and make a scrapbook out of them. 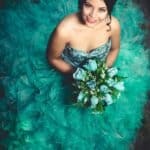 There are a million different 18th birthday party themes that you can choose for your big day. You can pick and choose from different ideas or create a brand new theme all your own. If you need assistance, below are a handful of themes to get you started. 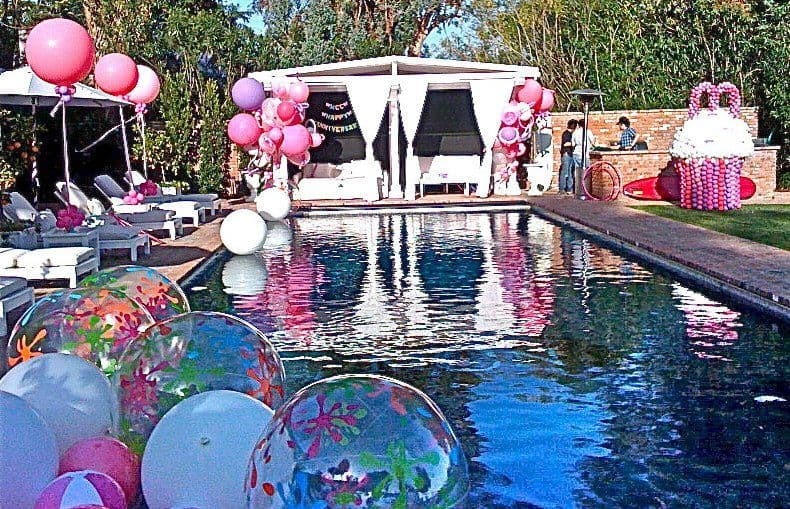 Provided you have access to one, the pool party can be one of the easiest 18th birthday party themes to coordinate. Who doesn’t enjoy a dip in the pool? Even a minimalistic approach with lots of floats, lounge chairs, and tropical drinks will be a blast for all involved. While the pool is the main attraction, there are little touches you can make to spruce up the theme. 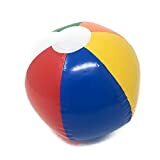 Fill the pool with colorful beach balls and cover the chairs in brightly colored towels. You can kick up the exoticism of the event with tiki torches, tropical flowers, and bamboo accents. There are tons of fun pool games to engage the guests at your party. Get a floating ping pong table or set up a volleyball net and play a few rounds. Buy some pool noodles and have a jousting match. A fun group activity is watermelon polo. To play it, cover a watermelon in vegetable oil and drop it in the pool. Then have to teams battle while trying to get the slippery melon to the opposite side of the pool. It’s like soccer but played with your hands. One of the wildest of the 18th birthday party themes is the infamous toga party. You know the deal. Everyone gets their favorite bed sheet and ties it up to look like the togas of ancient times. 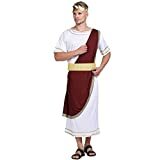 If you want to kick it up a notch, you can even have everyone dress in actual elegant ancient Roman costumes. Complete with headpiece, robe with attached shoulder drape and belt. White pullover robe has bands of gold braid at neck, sleeves & hemline. For your decorations, you can take inspiration from pictures and movies based in the Greek era. Make your own handmade scrolls to act as invitations. Decorate the venue with columns, pedestals, and fake classical statue busts made out of paper mache. On the invitations, invite guests to create the ultimate toga or Greek outfit and then have awards for best dressed. Instead of bobbing for apples, you and your guests can bob for grapes or olives. A great game to play at your toga party is Who Am I? To play, get a bunch of flashy headbands and write the name of a famous Greek character on each of them. Once everyone has their headband on, they have to guess who they are! One of the most fun and relaxing 18th birthday party themes is the bonfire. Whether you can have the fire safely in your backyard -- or at another location such as the beach or a nature park -- there's just something about your best friends surrounding a crackling fire that just shouts celebration. To complete the bonfire look, make sure to gather lots of wood along with hot dogs and other food to roast on the fire. 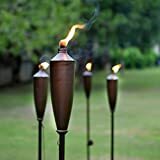 This is another of the 18th birthday party themes where you can add a little more texture to the event by setting up tiki torches. You can also hang string lights around the area. A thermos with a package of hot cocoa mix inside and bags of marshmallows make great party favors. Before the party, encourage the guests to prepare a performance that they want to share with the group. Whether it be playing the guitar, drums, singing, or telling ghost stories. Have each person around the fire take turns sharing their talents. Since you are passing the 18th birthday milestone, think back about some of your fond memories and share them with the group. Bonfires are also great times to have trivia contests, play truth or dare, and have water balloon fights to cool off. Who doesn’t love a dance party? For those who love to get down, this is one the most engaging 18th birthday party themes you can have. When planning to have a dance party, get a feeler for which of your guests love to dance and those who are less comfortable doing so. You want to make sure you include everyone. When you get that all set, get ready to boogie! Either find a venue to hold your dance party or create your own dance floor at home. In either case, make sure there is enough room for all of your guests to get wild. Naturally, you will want to hang a disco ball above the dance floor. If you are having the dance party at home, you can decorate with cartoonish musical notes and records. To make them, get some black construction paper and cut out the shapes before hanging them on the wall. Finally, blow up a healthy amount of balloons and put them on the dance floor so the guests can dance around them. 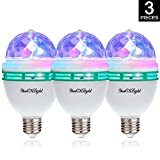 RGB full color led bulb, multi-color changing and rotating all the time automatically. Can be easily fitted to replace ordinary E26/E27 screw base light bulbs,Easy installation,just plug and play. Of course, one of the most engaging activities at a dance party is dancing. You can mix things up with some dance related games. Start by having a dance contest with fun awards for the winners. For another fun competition, have everyone sit in a circle. The first guest stands up and does a dance move. Then the next person goes up repeats that dance move and then adds one of their own. Add to the new dance routine with each new guest. Anyone who forgets a move is out. Play until one dancer remains. Another fun activity is setting up a styling area where guests can have their hair sprayed with glitter or get neon highlights in their air. 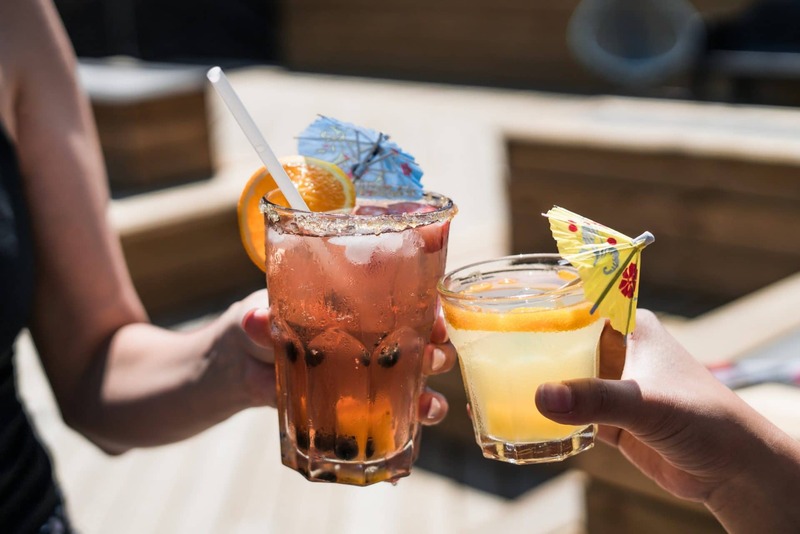 Though this birthday does not mean that your teen can legally drink, you can have the next best thing with a mocktail party. Of the 18th birthday party themes, the mocktail party exudes fun and maturity. Juice up the theme by making hors-d'oeuvres and serving non-alcoholic versions of drinks like pina coladas and daiquiris. If you want to kick this theme up a notch, you could turn it into a masquerade party complete with exotic masks and elaborate outfits. Transform your home into a mock nightclub by covering some high tables with fancy tablecloths and serve the drinks in cocktail glasses complete with stirrers and cute paper umbrellas. To complete the nightclub look, dim the lights and hang string lights around the ceiling. 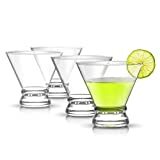 These JoyJolt Afina martini glasses set comes in a beautiful gift box, the perfect gift idea for any occasions. During your mocktail party, have a dance floor so guests can try out their best moves. After that, engage in some group games. Have a music guessing game where you play retro tunes and see who can name that tune. You can also play a truth-lie game where everyone sits in a circle and says something about themselves that may or may not be true. The other guests have to guess if it is a truth or a lie. Then play a game of charades. Top of the night with some karaoke. 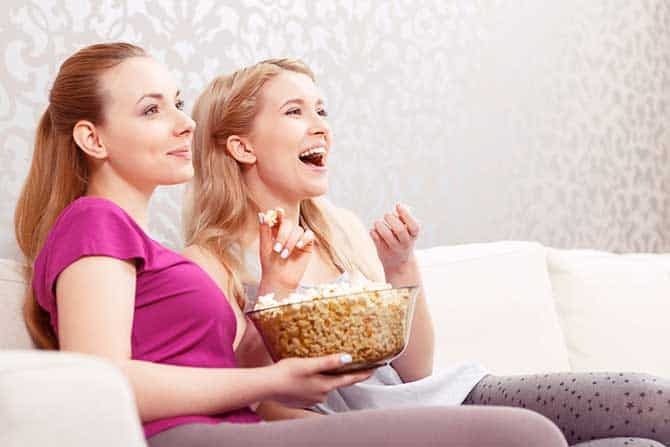 If your teen is looking for a more laid-back event, then the movie night marathon might be the most ideal of the 18th birthday party themes. As it sounds, this theme entails having friends over to enjoy a few flicks with some fun embellishments. Movies are all about creativity, so get creative with your decorations. Start with the food. Make a refreshments stand complete with soda, candy, popcorn, and hot dogs. 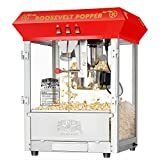 You can make it more authentic by renting a real popcorn machine. For the invitations, create mock movie tickets with the guest’s names on them. Get plenty of bean bags, cushions, and sleeping bags, dim the lights, and enjoy the show. The movies are the headlining entertainment. Find a genre that everyone at the party enjoys and stick to it. Horror or comedy movies are always a good choice. Play games in between flicks. Play a game of popcorn basketball by throwing kernels into a popcorn bucket. You can have a candy quiz by putting different pieces of candy in bowls then blindfolding guests and having them guess what they are eating. Of course, movie trivia never fails during movie marathons. As far as 18th birthday party themes go, you don’t get much flashier than the casino theme. 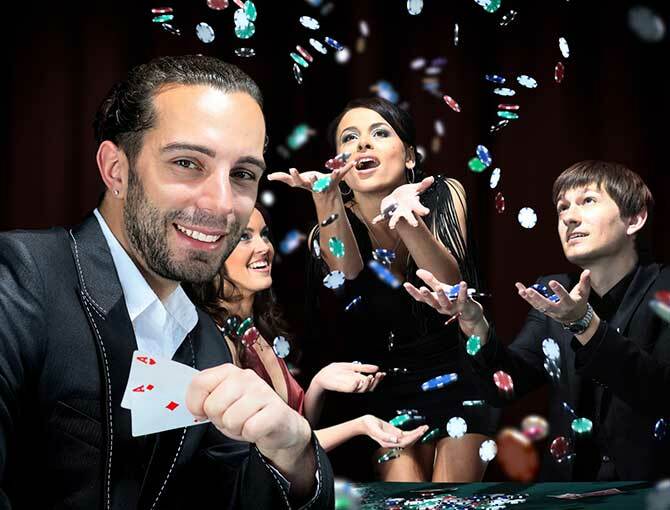 With a few decorations and a couple of card tables, you can have a mock casino set up in no time. Have your guests dress up in suits and elegant dresses and let the good times roll. Go to your local party store and find an almost unlimited supply of casino decorations. 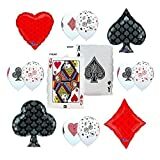 There you can get all of your chips, casino themed plates and cups, and centerpieces you desire. You can decorate the walls with slot machine wallpaper and hang decorations inspired by the suits in a deck of cards. 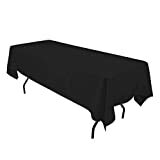 Set up some card tables and play friendly versions of blackjack and poker. If you are artistic, you can design your own roulette, Plinko, and wheel spinning games. Another fun game involves two teams building their own castle of cards. The team that wins the biggest tower wins! 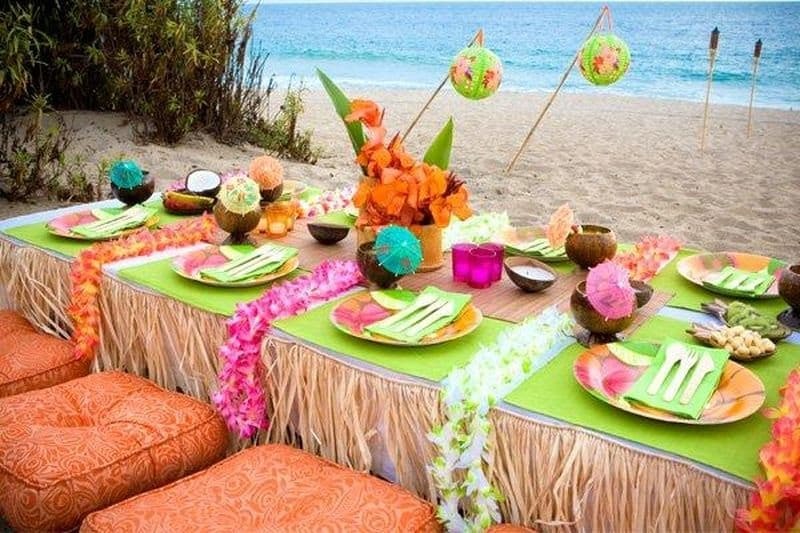 The luau party is one of the most adventurous 18th birthday party themes. Have everyone dress up in grass skirts, Hawaiian shirts, and leis to complete the look. This is a great party theme for out around the fire. If you set up outside, spend a few bucks on tiki torches to drive the theme home. Get some bamboo mats and lay them on the ground and have everyone dine on pineapple cake and chips with mango salsa. 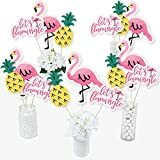 Finish decorating with lots of pineapple, parrot and ​flamingo centerpieces. Don’t forget about the balloons! Start the festivities off by turning on some Hawaiian music and do the limbo. After that, have a hula dancing competition. For luau games, you can have a scavenger hunt, tiki torch ring toss, and a variation of musical chairs: musical leis. 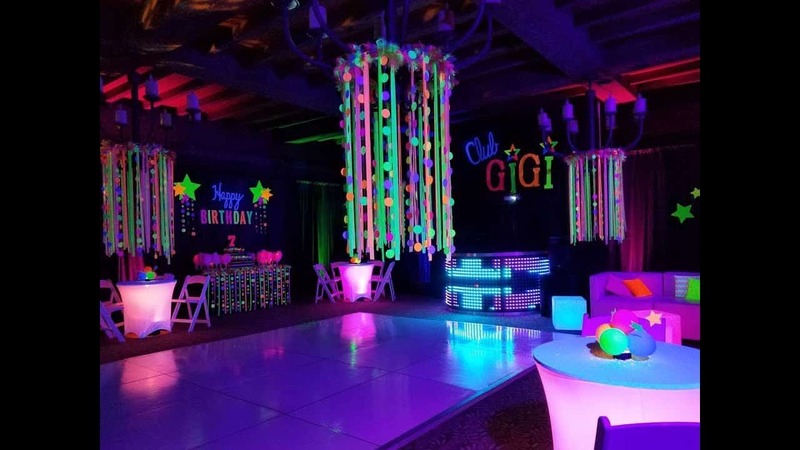 One of the most unique 18th birthday party themes is the black light party. The basics of this shindig include a few black lights and some glowing accessories. Everything looks a little different under these lights, and it will truly be a party to remember. The key to neon 18th birthday party themes is finding accessories that will create a unique glow under the black lights. Make a fun background for pictures with a hanging black tablecloth covered in neon colored streamers. Cut circles into neon paper and hang them from the ceiling. Attach glow sticks to balloons and spread them around the event space. You can even cut pieces of neon cardboard and attach it to fan blades to give a cool effect. Half of the fun of a neon party is finding new ways to make everything glow, making this one of the most creative of the 18th birthday party themes. How about making the guests into the decorations? To do so, have everyone come in white shirts. Hand out neon markers and have the guests draw things on each other’s shirts. Then have a dance party to show off your creations. You can play a game of ring toss by covering cans in neon paper. Then, throw rings made out of glow sticks. Finally, set up an art station with paper and neon paints so the guests can make their own creations. Officially becoming an adult is a momentous occasion and adding these 18th birthday party themes will only elevate this milestone. These events are just the tip of the iceberg with the type of theme you choose limited only to your imagination. Birthday boys and girls should plan their party along with their parents to get the best idea. Most importantly, have fun with it! New 18th birthday party themes are popping up all the time. What did you do for your 18th birthday? Do you have a theme you recommend? 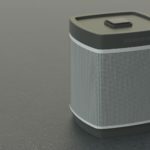 Sound off in the moments.